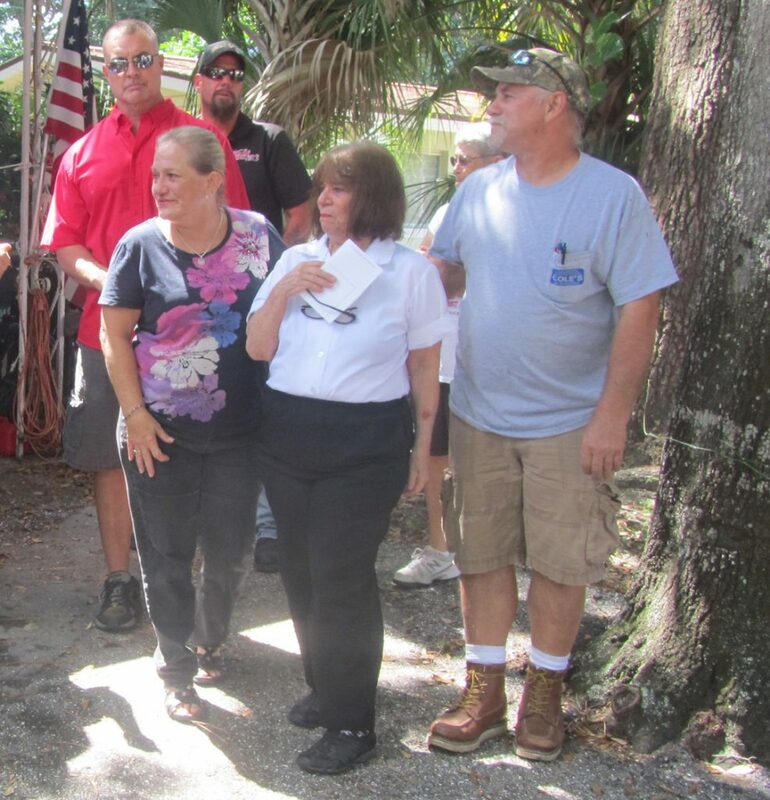 Donors and partners of Builders Care surprised a local Fort Myers woman with news that their wish for a new roof will be granted. Kay, 80, has had a full life first as an Army wife for 32 years, running her own businesses and enjoying six grandchildren. She spent most of their marriage raising four children at different Army bases around the Country. Once settled in Southwest Florida, Kay ran a Real Estate company and owned a Pet Store. She now works part-time at Publix to help make ends meet. After years of caring for kids and other family members, Kay needs a little help of her own. The 56-year-old home, once owned by her mother, has a lot of maintenance issues including leaking pipes and failing appliances and cabinets. Her children have helped to repair plumbing, water heater and other necessities. 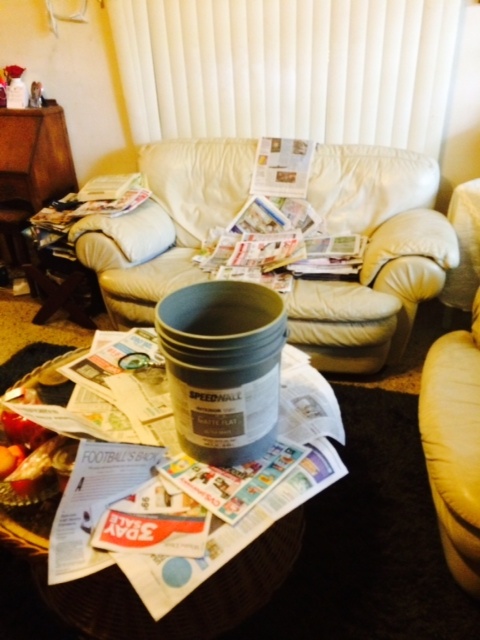 Currently, the roof is leaking and water is collecting in several buckets throughout her home. The water damage is also causing mold and drywall is falling from the ceiling inside her kitchen and living room. 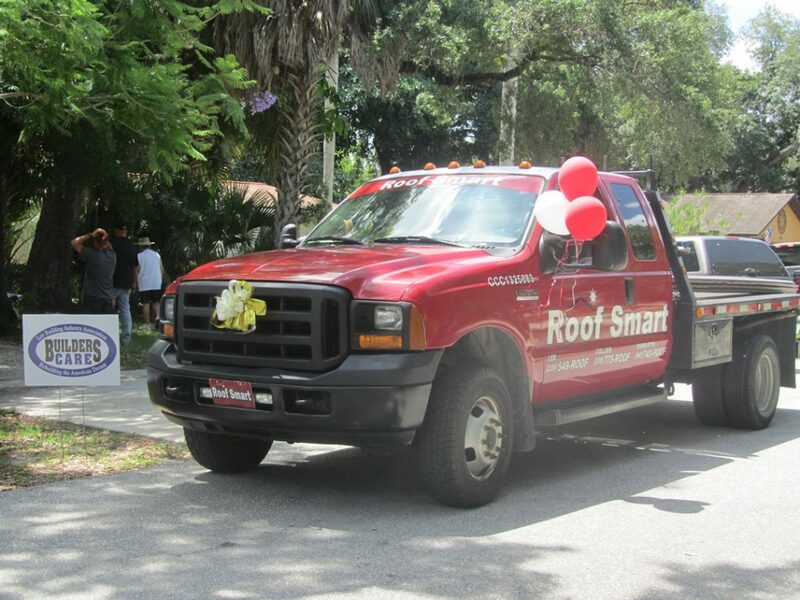 Roof Smart of Southwest Florida employees will address the roof and Lee Drywall will assist with drywall repairs. 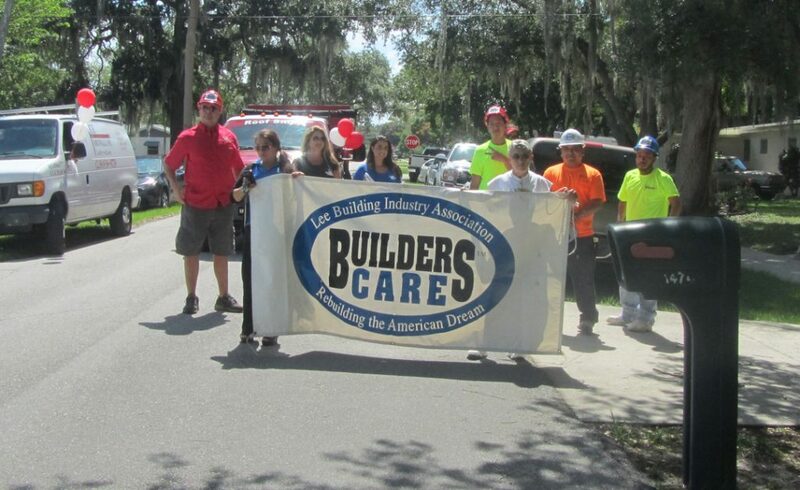 Builders Care partners and volunteers paraded down the street with trucks and balloons to surprise Kay in front of her home. 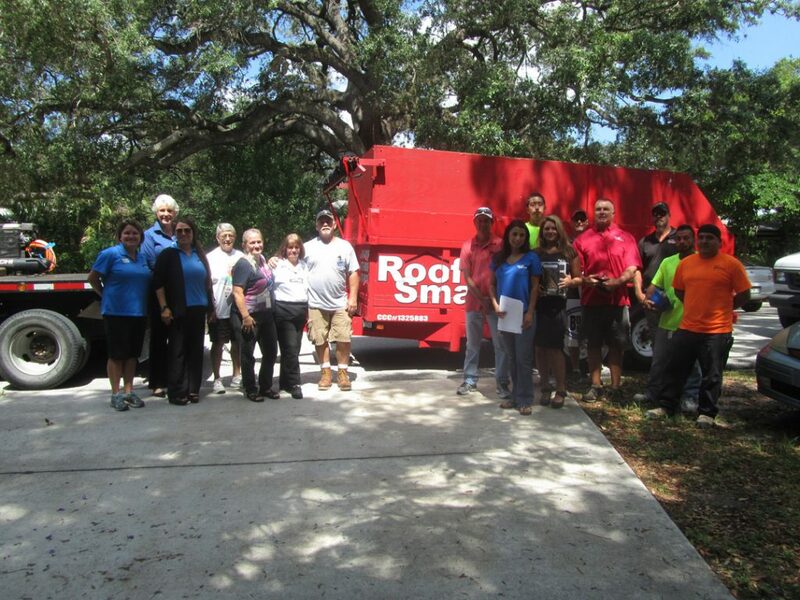 The roof will be repaired at no cost, thanks to partners with Roof Smart of SWFL and Lee Drywall,who are donating their services and additional funds from the Harper Foundation and donations from Grabber Construction Products, Inc. Volunteers with American Legion Riders Post 90 helped to clean up the yard too. “I am overwhelmed with this generosity. I really can’t believe it,” said Kay. According to Kay, she had replaced the roof herself in 2000, but the roofing company did not perform quality workmanship and denied her warranty when she tried to get the leaking roof fixed. In between her shifts as a bakery clerk at Publix, she emptied 5 gallon buckets of water from her living room and kitchen for months.